Police have met senior figures at Glasgow City Council amid allegations of malpractice, it has emerged. It follows claims of cronyism within the land and environmental services department. A long-running internal investigation has been looking at a number of issues, including alleged procurement irregularities. The department’s executive director resigned last November. Police Scotland said their inquiries were at an early stage but it is understood officers have taken an interest in issues that arose through Glasgow City Council’s internal investigation and that the local authority would be willing to co-operate with police. It is also confirmed that a meeting took place recently between the council and police and that some of the issues spoken about involved people outside the council. The land and services department looks after services such as cleansing, bin collection, park, roads to environmental health and trading standards. The department has about 4,000 employees and a revenue budget of £190m. In November 2016 its executive director Brian Devlin – whose salary was about £120,000 – resigned after five years in the role. It is understood that Mr Devlin was spoken to during the internal investigation. The others interviewed by the internal investigators included two members of staff with close personal links to housing repair company Mears Scotland, which had also been at the centre of a local controversy over council contracts in neighbouring North Lanarkshire. One is the son of its managing director who is married to Glasgow’s Lord Provost Sadie Docherty. The other is the partner of an executive with Mears who is now working in a different role at the council. Mears currently has no major contracts with Glasgow City Council and the company has denied wrongdoing. A spokesman for Labour-run Glasgow City Council said it would not be appropriate to comment on an ongoing internal investigation but the broader issue of openness and transparency within Glasgow City Council is set to be a key theme in the campaign ahead of May’s local elections. Supporters of the Labour administration may argue that the internal investigation demonstrates that they take such matters seriously. But, the SNP believe that, in general, the council could do more to ensure it is transparent and seen to be so. Councils are expected to follow tight procurement rules and statutory procedures to ensure an open and transparent process is followed for any contract being awarded – major contracts also have to comply with EU law. They should never be awarded on the basis of personal connections and no company tendering for a contract should be given an unfair advantage or disadvantage. It would be seen as bad practice – and possibly a breach of rules – for anyone with a close personal connection to a company to be involved with decisions on whether or not they are awarded a contract. Any allegation a council employee was able to give one company bidding for work an unfair advantage, through for instance sharing information, would also be taken very seriously. A split has opened up in Glasgow City Council’s ruling Labour group over the elevation of Philip Bratt to City Treasurer. Concerns were raised at a recent meeting of Labour councillors that the leadership was failing to honour a commitment to gender equality. The Labour group recently passed a motion in support of the Women 50/50 campaign which calls for legislative quotas for women on public boards, in the Scottish Parliament and in local councils. The drive for equality was launched in September 2014 by Scottish Labour leader Kezia Dugdale and has since been backed by First Minister Nicola Sturgeon as well as dozens of MSPs and councillors. Glasgow City Council leader Frank McAveety has increased the number of female Labour councillors on the executive committee from one to three, with the Labour group also contributing seven men. But it has been claimed that recommending Philip Bratt to replace Paul Rooney as City Treasurer was a “missed opportunity” to increase women’s representation at the top of the local authority. It is understood several councillors criticised the leadership when the Labour group was told at a private meeting last Monday that Mr McAveety would put forward Mr Bratt. Glasgow council leader Frank McAveety has taken legal advice after a complaint about his administration was sent to Scottish Labour leader Kezia Dugdale. An individual claiming to be a party councillor made a number of claims about his leadership and said morale in the city chambers was at “an all-time low”. However, a spokesperson for McAveety described the claims are “completely untrue” and raised the prospect of legal action. McAveety became council leader for the second time after succeeding Gordon Matheson in the post. However, his spell in charge has been marked by tensions in his group and damaging leaks. The Sunday Herald revealed McAveety’s allies had been critical of council chief executive Anne-marie O’Donnell over a perceived lack of detail on budget cuts and McAveety, a Labour MSP between 1999 and 2011, declined to offer his full support for her when asked. The new leader also faced questions from his colleagues over the appointment of councillor Phil Bratt as city treasurer. Bratt is perceived to be one of a number of McAveety allies handed key posts and some councillors believe the leadership has failed to give enough top jobs to women. The deepening rift ripping through Scotland’s largest council has erupted as its leader removes one of his senior officers in the clearest sign yet of a civil war tearing through the Labour-run authority. Frank McAveety, leader of Glasgow City Council, has forced his director of communications Colin Edgar out the door and into one of the authority’s arms-length organisations. McAveety has had a long-standing distrust of his media chief, linking with with both the previous regime at the council under Gordon Matheson and connected to senior figures in the Labour Party hierarchy the leader and his inner circle claim actively oppose them. Edgar, who has held the post for almost a decade and was a former communications boss of Scottish Labour, will take on a similar role at Glasgow Life, the council-owned arts and leisure trust. Part of his remit will be taken on by McAveety’s special advisor, the former BBC journalist and media chief at quango Strathclyde Partnership for Transport Bob Wylie. Councillors and fellow officers are being told today that Edgar’s new post is to improve the communications operation within Glasgow Life, as it prepares to merge with the Glasgow City Marketing Bureau and bid for international events.But it has been an open secret that there had been a communication breakdown between McAveety and Mr Wylie and their communications chief. Frank McAveety’s leadership of Glasgow council has suffered another blow after one of his top officials was signed off sick. Brian Devlin will be recuperating away from the city chambers amid claims morale amongst senior officers is low. McAveety replaced Gordon Matheson as local authority leader last year, but his Labour administration has lurched from one controversy to another. The former MSP’s internal party critics believe he lacks vision and has appointed male loyalists to key posts. However, there has also been tension with the council’s top officials, who are key to pushing through the leader’s policies. As revealed by the Sunday Herald, McAveety’s political allies criticised the council chief executive Anne-marie O’Donnell at a Labour group meeting in December over a perceived lack of detail on budget cuts. McAveety refused to give the official full backing. The leader then removed Colin Edgar from his post as head of communication and service development after a breakdown in their working relationship. McAveety reportedly had a “long-standing distrust” of Edgar, a respected PR professional who has been given a similar job at the council-owned Glasgow Life. It has now emerged that Devlin, the executive director of Land and Environmental Services, was signed off sick last week. Devlin is in charge of a huge council department including cleansing, parks, roads, environment and sustainability and other related services. The remit spans the management and maintenance of the road transport network and the array of parks and open spaces under the local authority’s control. A spokesman for the council refused to say whether Devlin had signed off with stress, or whether he had complained about any Labour councillor. He said: “We have a duty of care to all of our employees. Mr Devlin is absent from work on sick leave and we cannot comment further on personal matters.” A council source said relations between the McAveety camp and top officials was “very poor”. Cash-strapped Glasgow City Council could be about to bolster its public relations operation by handing a lucrative contract to an ex-BBC journalist. Former political correspondent John Morrison is among the consultants contending for the chance to provide “independent analysis” of the local authority’s digital presence. Last year council leader Frank McAveety handed a well paid senior special adviser job to another ex-BBC reporter, Bob Wylie, who was previously in charge of public relations at Strathclyde Partnership for Transport (SPT) during an expenses scandal. It emerged in 2010 that officials had clawed back more than £100,000 and gone on foreign fact-finding trips. Mr Wylie later handed back expenses racked up during a junket to Manchester on the day Rangers played in the 2008 UEFA Cup final. Sources claim the council’s public relations programme has been “floundering” recently and Mr McAveety is thought to be keen to “shore up” the operation. A council spokesman confirmed that the local authority is “conducting a review of council communications, with special reference to developing digital communications”. Scotland’s largest council has faced a day of trauma following the suspension of one of its senior officers and a political resignation which leaves the ruling Labour administration’s majority teetering on the brink. Glasgow City Council announced it had suspended its £120,000-a-year-plus head of land and environmental services Brian Devlin pending an internal investigation, understood to focus on the award of contracts. Mr Devlin had recently returned to work following a period of ill health amid claims of low morale and deep divisions between senior members of the administration and top officers. It is understood Mr Devlin’s lap top has been retained by the council as part of the probe. The announcement followed the unrelated resignation of former chief whip and chair of the Labour group, Aileen Colleran, who will continue as an independent until next year’s local elections. Ms Colleran, who is married to SNP MP Chris Stephens, cited disillusion with the party nationally and personal circumstances, including claims she has been treated with “suspicion and mistrust”. Her resignation, combined with a number of suspensions and by-election defeats, has brought the Labour administration within a seat or so of losing its overall majority on the council. The assistant to a key Glasgow City Council official has been suspended amid ongoing internal investigations into procurement irregularities. Joan Parr was sent home on the same day as her superior, the £120,000-a-year director of land and environmental services, Brian Devlin, last month. Sources said internal auditors have seized computers from the pair as they look in to a series of concerns insiders say include the “award of contracts”. Ms Parr is the partner of Steve Kelly, an executive with housing repair giant Mears Scotland, whose friendship with the leader of North Lanarkshire Council, Jim McCabe, helped sparked a civil war in Labour last year. 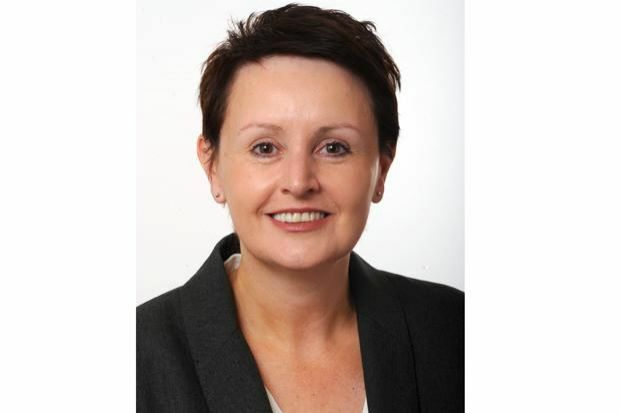 Her suspension comes as councils across west central Scotland apply intense scrutiny to public procurement contracts after North Lanarkshire Council announced an investigation into sweeping allegations of corruption. Mr Devlin picked Ms Parr, an existing council employee, to work as his assistant when he was hired by Glasgow to head his department, which deals with everything from roads maintenance to rat catching, in 2011. He was suspended shortly after returning to work following a period of ill health amid grumbling about low morale in his department and talk of divisions between officials and the new council leadership of Frank McAveety. A source said Mr Devlin was under scrutiny “both on performance and integrity”. The executive, who is originally from North Lanarkshire but lives in Kirkintilloch, East Dunbartonshire, came to the council from engineering firm Amey after a career in local government. He hit the headlines shortly after taking up his post when it emerged he had helped to hire the now late former Labour cabinet minister Tom McCabe – no relation to Jim McCabe – as a £50,000-a-year policy adviser. A Major exodus from Glasgow’s ruling Labour administration is set to deepen rifts within the authority, with almost half the party’s female councillors expected to quit politics. It is understood that six female politicians, including Lord Provost Sadie Docherty, have signalled they will not to seek re-election amid claims of a “macho culture” within the council. A young New Labour supporter came to prominence in Glasgow City Council in the late 1990’s. His promise to the electorate was to eliminate corruption and modernise the Administration which had been in power for many a year. With the backing of Tony Blair and Gordon Dewar Frank proceeded to exercise a night of the long knives getting rid of the Lord Provost Pat Lally and his supporters. The saga caused immense damage within the Labour party in Glasgow and lasted for around 2 years. Frank and his supporters emerged victorious and full of confidence in his ability he undertook his new job with great gusto to the chagrin of many Glaswegians. The future of Patrick Lally as Lord Provost of Glasgow appeared to be in even greater jeopardy last night after strong indications that Labour Party moves to oust him are being driven by Scottish Secretary Donald Dewar. Sources in London disclosed yesterday that Mr Dewar has been detailed to oversee the civic crisis in Glasgow and support a modernising strategy aimed at restoring the city’s tarnished image. Glasgow Council leader Frank McAveety is expected to win his spurs with the Labour Party hierarchy today by taking steps to unseat the man whose support helped him into the post. Lord Provost Pat Lally and his depute, Baillie Alex Mosson, face removal from office after being found guilty by a disciplinary hearing of breaching Labour Party rules. The party’s National Constitutional Committee banned them from the Labour Group for 18 months and suspended then from holding party office for a similar period. Although the NCC has not specified in what way the two civic leaders have offended. The Labour leadership received another blow last night when Pat Lally revealed he is to sue them for damages over his suspension from the party following sleaze allegations. His action will outrage party leaders still smarting at the embarrassment of being forced to drop their action against Mr Lally, Lord Provost of Glasgow. He is a man who divided a city and a local Labour Party. LAZARUS has finally decided on an exit from his colourful career in local government. It is a decision of his own making and not imposed by his enemies, primarily his bitter opponents in the city council Labour group and their sponsors in the Scottish Labour Party. 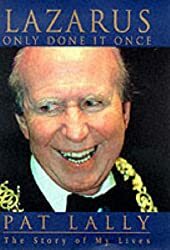 As Lord Provost of Glasgow, Pat Lally – known as Lazarus because of his many political comebacks – faced his toughest battle in 1997 when Labour launched an inquiry into alleged sleaze within the local authority. Council leader Bob Gould publicly claimed that members had been willing to trade their support for overseas trips. The accusations were never fully investigated. But caught in the political fallout, Lally found himself accused of bringing the party into disrepute by abusing his position. They were widely held to be trumped-up charges. In the second and concluding extract from Lally’s autobiography, Lazarus Only Done It Once, the veteran politician reveals how he stood up to the might of the party machine and ultimately forced it into a humiliating climbdown. The hearing into the sleaze allegations that had been brought against me took place in a ground floor committee room of Scottish Labour Party headquarters in Glasgow on a cold but bright day in January 1998. But, given the circumstances, it might just as easily have been the April of George Orwell’s novel, 1984. The party’s National Constitutional Committee, with national officer Mike Penn playing the equivalent role of ‘procurator fiscal’, had gathered to ‘try’ me. Frank McAveety was a strong willed character whose time in office as Leader of Glasgow City Council was likened by some to 1930’s Chicago. He courted personal publicity and media attention. There were some who earmarked him for high office in the wider labour Party. His star was in the ascendency. But the public and City employees did not always agree with his chosen method of operation which to many was over much dictatorial. Consensus was not his strongest quality. The leader of Scotland’s largest local authority plans to desert his post to seek a seat in the new devolved parliament. Frank McAveety, who was installed as head of Glasgow City Council by Labour chiefs last year, wants to be one of the first intake of MSPs. The Labour leader of Glasgow City Council has agreed every one of his colleagues can be challenged for their posts – except for himself and his deputy. Frank McAveety was attacked by opposition politicians for agreeing impending elections which exempt any challenge for his job. He was accused of Stalinism by Conservatives, who urged him to open his position to the vote. As well as across-the-board elections at the Labour group meeting, the council’s standing orders will be changed to make it easier to oust senior figures. 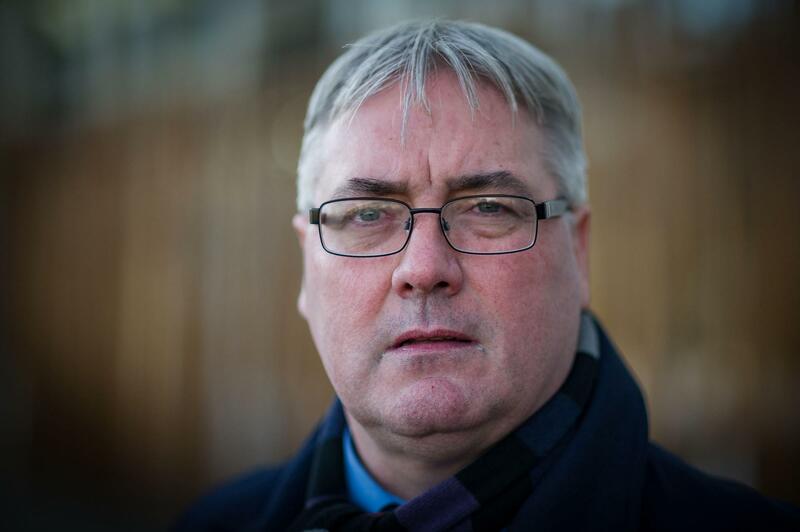 Striking social workers yesterday accused Frank McAveety, the Labour leader of Glasgow City Council, of engineering the circumstances that led to their protest. The Labour leader of Glasgow City Council gave his personal backing yesterday to an investigation into staff who have not paid their council tax. Frank McAveety, who was elected on a mandate to root out corruption, is understood to have been deeply embarrassed by the disclosure that 7,700 employees, including some in the finance department – responsible for collecting council and poll tax – had arrears of £4m. Glasgow’s Labour administration warned yesterday of a further 800 redundancies to prevent a council tax rise, provoking union and opposition anger. Labour leader Councillor Frank McAveety infuriated council workers by stating: “Our purpose on the council is to deliver services to the people of Glasgow. We’re not an employment agency. But we’ll have to work with the unions to ensure minimal impact on jobs.” With the possibility that many of the redundancies might be compulsory. Glasgow’s Labour leadership took striking librarians head-on yesterday by demanding they sign a new contract of employment or lose their jobs, writes John MacCalman, Municipal Correspondent. The contract offers pay enhancements to librarians in exchange for more “flexible” working practices. 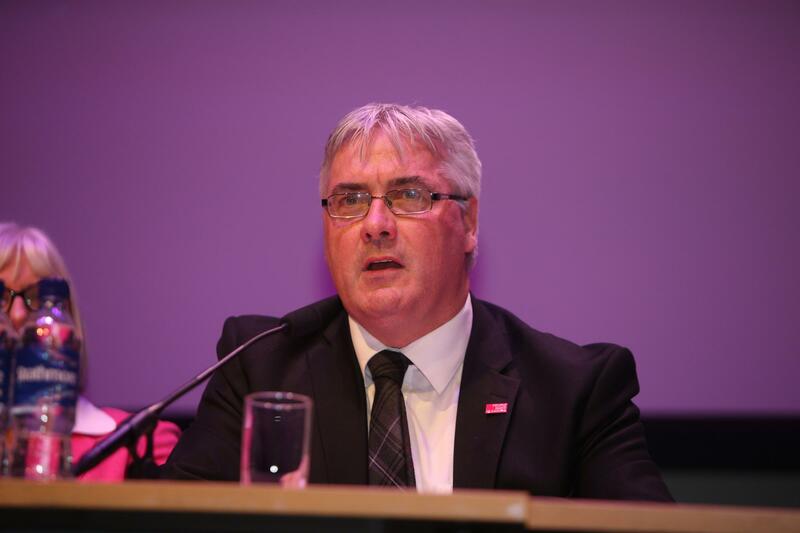 Labour leader, Councillor Frank McAveety, said: “It’s quite clear what the new contract is indicating. The contract is enhancing the core payment. “It’s addressing the concerns about loss of allowances and it is making the libraries provision central to change in Glasgow. Council chiefs last night apologised to the people of Glasgow after bulldozers ripped the heart out of George Square. City council leader Frank McAveety admitted the Policy and Resources Committee had decided on the pounds 200,000 facelift without the public being told. Work started last Thursday when the square’s famous Swedish white beam trees where chopped down by workmen with chainsaws. Council bosses said the 75-year-old trees were felled because they had Dutch elm disease. Daring to enter George Square, even though citizens want his head on a plate he posed proudly beside diggers ripping it up. Voters are furious at him for ordering workmen to fell 75-year-old trees and rip up flower beds. But braving the wrath of voters, he beamed widely as he told of his plans for a new, improved city centre. As Glasgow gears up to become the City of Architecture and Design next year, the George Square development has become the 16th in the city centre. From the Broomielaw to Sauchiehall Street, clanking machines are tearing it apart. McAveety insisted that just as we have New Labour, Glasgow would have New George Square. But the council have come under attack for letting work begin without telling the public. Bidding to save face, he posed smiling beside the eyesore. Yes, McAveety conceded, the pounds £200,000 project had come as a surprise to businesses but insisted it’s for everyone’s good. It’s been dubbed ‘red square’ by those who are scathing of the choice of bright floor colour. For some it is just an embarrassment but for others who are more cynical, the crimson carpet which smothers George Square was nothing more than a gleeful snub to the opposition from a triumphant Labour in the post 1997 era. Regardless of its heritage, the red asphalt which covers the area at the heart of the city could be soon set to disappear in yet another multi million pound development. Embattled leader Gordon Matheson of Glasgow City Council believes he will lead the city beyond the 2014 Commonwealth Games. He made the prediction as he stands accused of multiple breaches of the councillors’ code of conduct centering on the controversial design competition to revamp George Square. In an interview with STV’s Bernard Ponsonby on Tuesday, Mr Matheson was defiant over his conduct and stated that he believed his position was safe beyond the Games that are being hosted in Glasgow next year. The Public Standards Commissioner for Scotland is looking into the allegations he acted improperly during the redesign process, which collapsed amid public outcry. Devolution In 1999 the newly formed Scottish parliament presented Frank with the opportunity to progress his career. He stood down from the position of Leader of Glasgow District Council and gained a seat in the newly formed Scottish Government. He was promoted to the role of Deputy Minister of Local Government. His future seemed assured. In the period 2000 – 2004 Frank proved to be a controversial character who maintained a high public profile. But progress he did . The controversy over Glasgow’s housing stock transfer reached new depths of bitterness yesterday when leader Councillor Frank McAveety found himself being reported to the council’s Standards Committee for an alleged conflict of interest. 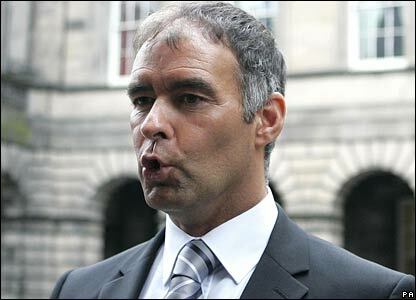 The complaint has been made by Scottish Socialist councillor, Tommy Sheridan who feels his Labour opponent should not have been “proposing and pushing forward” the stock transfer after having been appointed Labour’s housing spokesman for the new Scottish Parliament. He’s so vain he probably thinks this item is about him – and he’s right. Deputy Minister for Local Government Frank McAveety is the softer face of socialism. It seemed like the perfect opportunity for a politician who likes to get in front of the camera. Slip on a pair of trendy sunglasses and join an aspiring teenage rap band for photo call. But Frank McAveety, the newly-appointed Deputy Minister for Local Government, been officially instructed to stop participating with the more outlandish requests of photographers. The new Parliament — the first in Scotland since 1707 — the fruit of Prime Minister Tony Blair’s program known as devolution, which aimed to decentralize power in the United Kingdom and give more self-determination to Britons who live here, in Wales, in Northern Ireland and eventually in the regions of England. While the new Parliament can weigh in with decisions on issues like agriculture, education and health and housing, Scotland retains ties to the British Parliament, which continues to regulate strategic areas like defence and social security. For that reason, 16 Scots are Peers in the House of Lords and 45 are members of the House of Commons. When it first opened, the Scottish Parliament set itself up for a bruising first round, awarding members commemorative medals before they had done anything more substantive than working out their salaries, bonuses, parking spaces and vacation grants. Then it laid out plans for a grand new home in an inaccessible part of Edinburgh that was to cost $75 million by first estimate and $300 million by current ones. All of this was gleefully chronicled by Scotland’s 21 robustly competitive papers, which turned from a passionate commitment to the idea of devolution to ferocious resentment of the real thing. A seemingly innocuous motion to remove a regulation that limits teachers’ freedom to discuss homosexuality with students seeking counsel provoked a multimillion-dollar campaign of loudspeaker trucks, pickets and billboards accusing the lawmakers of condoning sexual perversion. When a scandal erupted in the spring over a badly flawed new system of college entrance exams, the Parliament was blamed for letting it happen. Meanwhile, the lawmakers were seen to be neglecting the real problems affecting Scotland — a feudal landowning system, decrepit housing, an urban drug epidemic, homelessness, an underperforming tourist agency, and inadequate health services for people who live in Britain’s harshest climate and are known for eating too much fried fatty food and indulging in too little exercise to work it off. Frank McAveety, the gravel-voiced Glaswegian deputy Minister for local government, was perhaps just a little too gallus for his own good. Famous for his quick wit and terrible jokes, he was known to be a supporter of Jack McConnell in the run-up to the leadership election. Mr McAveety let it be known he would be switching his support to Mr McLeish, a move widely condemned as brazen opportunism, even by his own colleagues, who were preparing to support Mr McLeish themselves. In 2004 Frank’s fortunes started to look less rosy due to a number of adverse events which exposed his lack of effective political judgement. The Friends of Scottish Opera has launched a campaign asking Frank McAveety, the culture minister, to preserve the future of “an essential part of the fabric of Scotland’s musical life”. The group sent a letter to Mr McAveety, demanding Scottish Opera remains able to produce major performances in the main Scottish theatres. Being Scotland’s arts minister can apparently feel “like a whale swimming in some vast ocean, hoping that someone, somewhere will get the message”. The real effects, says Frank McAveety, begin to emerge 10 to 15 years down the road. As a youngish politician, McAveety has time on his side, yet he was in a rush on Thursday morning. The marine reference was not his, but that of playwright David Greig, read on the train through from his native Glasgow to his Edinburgh workplace and hastily added to the final version of his long-awaited and much-heralded statement on the arts, to set its course for a generation. Sir Richard Armstrong, Artistic Director of Scottish Opera, speaking out for the first time about the emergency funding plan which will reduce the company to half of its current staff and will result in a “dark season” in 2005-06, described the Scottish Executive’s behaviour as “brutal and shameful,” and claimed that the executive had an “agenda to reduce the size of the company,” writes Phil Miller. A sheriff ridiculed the Tourism Minister Frank McAveety as he cleared two anti-war protestors of terrorising him in the street. Mr McAveety said he had felt the “worst intimidation in his life” while canvassing on Glasgow’s south-side. Sheriff Graeme Warner said the Labour MSP “must live a very sheltered life”. As a former member of the Scottish Opera Chorus in the Alexander Gibson, Arthur Oldham, Peter Hemmings era, I am deeply saddened at the proposals for the company’s future. If the Scottish Executive, the Scottish Arts Council and the Scottish Opera board implement the planned nine-month “shutdown” and make the full-time chorus redundant it will be a national disgrace. Tourism Minister Frank McAveety has been forced to apologise unreservedly for misleading parliament after turning up late for question time. Mr McAveety told MSPs he was detained on ministerial business, but was actually having lunch in the canteen. Presiding Officer George Reid accepted the minister’s apology over what has already been dubbed “porky pie-gate”. First Minister Jack McConnell told Mr McAveety that his behaviour fell below the standard expected of a minister. A spokeswoman for the Scottish Executive said: “The first minister and Mr McAveety have spoken. Frank McAveety thinks Scotland has a real story to tell about its culture. He gets passionate about involving people, especially children. And he isn’t eating humble pie about the Scottish Executive’s much-pilloried invention of “cultural entitlements’. Culture Minister Frank McAveety has been accused of wasting taxpayers’ money after he bought a £280 jacket on expenses. The Glasgow MSP charged the public for the dress kilt jacket, using regulations that allow ministers to claim the cost of clothes for official duties. Mr McAveety wore the jacket at the Cannes Film Festival in May. Frank had been returned to his MSP post in the 2003 and 2007 and gave impression he was content with his lot taking on chairmanship of some committees. But true to form he could not avoid the attention of the media for long. 19 Jul 2009: Labour MSP Frank McAveety-People in Glass Houses!!! Labour MSP Frank McAveety has attacked the SNP’s record on physical education in schools, calling on Ministers to ‘get serious on sport’. Former Sports Minister McAveety is a fine one to talk. Not only did he once miss a vote because he was busy eating pies, but his Labour five-a-side football team played so poorly in a recent Holyrood tournament that they were relegated to the consolation cup. The girl lusted over as ‘dark and dusky’ by a senior Labour politician is just 15 years old. Frank McAveety was caught on camera ogling a girl he spied in a public gallery of the Scottish parliament. He last night quit as convener of Holyrood’s petitions committee after lurid comments he made about the girl, who was on a work placement with another MSP, were inadvertently picked up on TV. The married former Scottish culture minister was seen ogling the dark-haired girl in the viewing gallery while speaking to his committee clerk. He was then heard to say: ‘There’s a very attractive girl in the second row. Dark and dusky. ‘We’ll maybe put a wee word out for her. She’s very attractive, very nice, very slim. ‘The heat’s getting to me. She’s got that Filipino look – the kind you’d see in a Gauguin painting.’ The girl at the centre of the comments was on a work placement with the Green Party. Yesterday the gaffe-prone MSP – who has two children – handed in his resignation as committee convener to Labour leader Iain Gray, apologising for any offence his actions may have caused. But opposition parties last night questioned why Mr McAveety had not been sacked when his comments were first revealed. Nationalist backbencher Sandra White said the Glasgow Shettleston MSP’s departure called Mr Gray’s leadership into question. She said: ‘Frank McAveety’s comments were utterly inappropriate and he has done the right thing by resigning – it’s just a shame his party leader does not seem to know what that is. ‘Iain Gray should have taken action yesterday as soon as this matter came to light.’ As well as falling foul of Labour bosses, 47-year-old McAveety is likely to be in hot water with his wife Anita. Labour last night replaced Mr McAveety as convener of the petitions committee with Midlothian MSP Rhona Brankin. His other role as the party’s sports spokesman will be taken over by Glasgow Anniesland MSP Bill Butler. The disgraced Labour MSP has come under fire after it emerged that he had hired a former Labour election candidate who had been sacked after making derogatory remarks about old people and ethnic minorities. An SNP MSP has reacted angrily to the news that Stuart McLennan had been employed by Frank McAveety to work in the Labour MSP’s constituency office in Glasgow. MacLennan was sacked as Labour’s candidate for Moray during the general election campaign when it emerged that he had labelled old people “coffin dodgers”. He also made offensive references to ethnic minorities and alluded to sectarian football songs. Mr MacLennan is not the first person suspended by the Labour party to have been controversially re-employed. In July, developers Allan Stewart and Stephen McKenna, both Labour party donors, announced they had given disgraced former Labour boss Steven Purcell a post with their charitable foundation. 6. Frank lost his seat at Holyrood in the 2011 SNP landslide victory. Cast out to the ranks of the unemployed he beavered away in Glasgow local politics with the purpose of rehabilitating his career within local government, where he had enjoyed great success before hanging on the coat-tails of the Labour Party. But first there were issues from his time in Holyrood that had surfaced and needed to be resolved. The “McAveety Bus” issue rumbled on for months, (he bought the bus using his parliamentary allowance allegedly for use within his constituency. There were also alleged abuses of the expenses allowances levelled against him by a previous colleague. All a bit messy. The Scottish Labour Party failed to win the 2011 Holyrood election because it was naive, failed to give people a reason to support it and did not distinguish between ruling parties in Scotland and Westminster. The claim is made in an article in The Herald today by former Glasgow Shettleston MSP Frank McAveety who lost the party’s third- safest seat in Scotland. The Herald reports that so far 17 of Labour’s 47 councillors in Glasgow have been deselected for the elections next year. Not quite clear if there will be more to deselections to emerge but given that there will also some standing down voluntarily it is clear that most of the current Labour Group will not be Labour candidates next time. The report adds: It is understood candidates are quizzed on their political guile, local activities and asked to describe “the Nolan Principles”, which govern standards in public life. It comes as Labour faces the biggest challenge to its grip on the council in over 30 years on the back of the SNP’s buoyant performance in May’s national election. But names are also emerging of potential replacements, including former MSPs Frank McAveety and Bill Butler, ex-councillor Chris Kelly, James Adams, an RNIB campaigns manager who works with Anas Sarwar, Soryia Siddique, a lecturer at Cardonald College, and Aileen McKenzie, another ally of the Sarwar dynasty. Political guile is all very well but there is a case for having a mix of strengths in a group of councillors. There might well be those with experience in residents associations or through their jobs (businessmen, teachers would be examples) which might well be practical beneficial to them as being effective councillors. But they might be less strong on making speeches or writing press releases. Should they be ditched? Not if there are others who can cope with the political cut and thrust. As a former English teacher, Frank McAveety should have been aware of this quotation from John Dryden “Be nice to people on your way up because you might meet ’em on your way down.” When McAveety first cut the hours of one of his constituency staff and then sacked him because “he was not fulfilling the duties expected of him”, he might have felt that Cllr Andy Muir was dispensable. In fact he did, because McAveety was then allegedly part of the Labour cabal that decided that Andy Muir was also useless as a councillor and had him deselected (leaving an opening for the same downward travelling Frank McAveety to stand for Glasgow Council next May). Employers are not always transparent in their reasons for dismissal of their employees, and there is an alternative reason for cutting McAveety’s staff. The MSP Expenses Scheme gives an allowance for Members’ Support Allowances split into two categories – Office Cost Provision and Staff Cost Provision. Most MSPs reasonably transfer money from office cost to staff. It has always been unusual to transfer money the other way round. However McAveety was one of the rare examples of an MSP cutting his staffing costs, to fund his office costs – including his mobile surgery (the infamous “McAveety’s bus”). Mr Muir may either have been disgruntled, or found a core of moral fibre not previously apparent. Whichever, Muir has just gone off to Strathclyde Police to allege that information in his possession, relating to Mr McAveety’s allowance claims as an MSP, suggests that the claims may have not been as pure as snow. At least Muir was fulfilling an election pledge. Back in 2008 his campaign literature said “Andy Muir will work hard to direct our share of extra police where local people feel they are needed”. Strathclyde Police are probably very well aware that disgruntled employees will be bearing grudges, but can also give very useful information on activities that need investigation. Since Muir is a member of the Strathclyde Police Authority, and sits on the Complaints and Professional Standards Committee, his complaint could hardly be summarily dismissed. The implication, of course, in that statement is claims have been subjected to forensic enquiry before approval. This is wholly misleading. The job of the staff at the SPCB is to ensure that there is an appropriate invoice for the claim and that it fits in with the appropriate head of expenditure, and that there is sufficient balance left to meet the claim. The total responsibility is on the MSP to certify that the claim is appropriate in terms of “value for money “ and “efficiency and effectiveness” in line with para 1.1.2 of the Members’ Expenses Scheme. Former Labour MSP Frank McAveety is facing a police probe into overtime and bonus payments claimed on his Holyrood expenses. The ex-culture minister is facing allegations of ‘financial irregularities’ at his former constituency office in Glasgow. Andy Muir, a former parliamentary assistant to Mr McAveety and a Glasgow councillor, has given a statement to police about events during his employment in the office between 2008 and 2010. It is understood the allegations centre on payments running into several thousands of pounds paid to Mr Muir, who was sacked last year. Reports yesterday suggested the police probe was looking into the trail the money took after it was paid into Mr Muir’s bank account. The head of a charity set up to tackle poverty in one of the poorest parts of Scotland has been given a golden goodbye worth £500,000 by Labour councillors. Ronnie Saez landed a package worth around six times his salary after being made redundant from his post as chief executive of Glasgow East Regeneration Agency (GERA). His exit deal comprised a “severance payment” of £42,000 and a £470,000 boost to his pension, which included a discretionary £208,000. According to an internal report leaked to the Sunday Herald, the pension top-up was paid using reserves earmarked for the redevelopment of a school in Dalmarnock, a deprivation black-spot. Three of the five GERA directors who approved the Saez deal were Labour councillors in Glasgow. The GERA chair was James Coleman, a former deputy council leader; the vice-chair was Councillor Catherine McMaster; and the third councillor was George Redmond, who signed off the accounts last month. Since leaving GERA, Saez has set himself up as a consultant, briefly going into business with Frank McAveety, the former Labour MSP. Returning to Glasgow City Council – the place where it all began 24 years ago for the former English teacher – he’s just been through a week of induction and is setting up home in his new office. Twelve months after the shock loss of his Scottish parliamentary seat in the east end of Glasgow, Frank McAveety is once again representing the people of Shettleston. Some might say he is a glutton for punishment. He last entered the city chambers as a councillor 13 years ago, and there have been many changes in the administration of local government since then. For the last year, McAveety has worked as a consultant helping to get young people into jobs and then for sports outfit Sidekix as an education coordinator. He says the experiences more than prepared him for the slog of the Labour doorstep campaign – where candidates were ordered by party chiefs to chap hundreds of doors and meet constituents every week. Despite numerous boundary changes, McAveety represented the east end of the city for 23 years, first as a councillor, then as an MSP. As an MSP, he was a government minister on three occasions, so surely it might seem like a bit of a step down to return to local politics after the prestige of ministerial positions? “With local government and Scottish Parliament you’ve got two very different roles,” he says. Councillor Frank McAveety met with members of the Shettleston community on Tuesday to discuss the recent asbestos scare in the area. The public meeting saw discussion around the possibility of asbestos exposure after a derelict school building was set alight in May, scattering asbestos fibres into the air. St Mark’s Primary School on Muiryfauld Drive, Shettleston was closed in late 2010 and lay derelict until it was torched by vandals in May this year. Now the community may be at risk after Glasgow City Council confirmed that asbestos fibres had been identified in the gutters of houses in the surrounding area. Asbestos exposure has been linked to the development of diseases like malignant mesothelioma, a rare and untreatable form of lung cancer. The community meeting prompted worried residents to vent their frustration about potential asbestos exposure and the perceived lack of care shown by the local authority. 20 Aug 2012: Councillor Frank McAveety has been given the job of making cycling the most popular activity in the city. The former sports minister said he was determined to see biking overtake walking, football, swimming and dancing as the city’s favourite sport. Following the Olympic success of Sir Chris Hoy and the prospect of top-level track cycling at the eponymous velodrome and mountain biking course at the 2014 Commonwealth Games, the campaign hopes to encourage all forms of cycling. Frank is reportedly readying himself for the post of leader of Glasgow District Council, if Gordon Matheson is elected to the post of Deputy leader of the Labour party in Scotland. Lazarus rising indeed!!!!!! 10 Sep 2015: Glasgow Labour elect a not so new council leader to take the administration towards the 2017 Scottish local elections. Frank McAveety, a former Scottish Government minister who led the council from 1997-99, won the support of his councillor colleagues by 24 votes to 19 over competitor Malcolm Cunning. McAveety’s election marks a transfer of power after Gordon Matheson left the role following his failure to be selected at deputy leader of the Scottish Labour party. McAveety lost his seat in the Scottish parliament at the 2011 election, but was then returned as a Glasgow councillor the following year. He has been involved with culture and local government policy over the past 20 years, including serving on the board of The Arches (which is now being shut down). McAveety previously resigned from the Scottish Parliament’s petitions committee after inappropriate comments about a 15-year-old audience member. In his first in-depth interview since taking the biggest job in Scottish local government, Frank McAveety said he had inherited a pro-independence city because voters wanted a different style of politics. Describing himself as a “believer in making big shifts”, he questioned whether First Minister Nicola Sturgeon had delivered for constituents in Glasgow, accusing her of a “selfie” approach to politics. Questioning the impact the SNP has had in its eight years in power, the Glasgow City Council leader accused it of taking “a showbiz variety of what it is to be a Government”, adding that it created an illusion of change but shied away from major decisions. The former Scottish Executive minister and MSP took the reigns at Glasgow a fortnight ago following the decision by predecessor Gordon Matheson to stand down after his failed bid to become Scottish Labour’s deputy boss. Since then he has been taking stock of the scale of his challenge in both running the country’s largest city in the context of dwindling financial resources and being the figurehead for Labour at a time when it looks like losing control of Glasgow for the first time in four decades. Speaking ahead of his first council official business as leader, Mr McAveety said he had “clear ambitions” which would materialise in the coming months over what the council under his leadership would do. He said local government had caught itself in a “Gordian knot” with the Scottish Government over finances and was seeking a meeting with Ms Sturgeon to discuss areas of mutual interest. He said, “I’m a product of a city that gave opportunity because of the values of the Labour Party. And I don’t believe its a city defined by nationalism. The Yes vote that was narrowly returned was because people wanted politics to be different and they also wanted people committed to “how do we build fairness and opportunity”. Glasgow City Council leader Frank McAveety has refused to give full backing to the local authority’s first female chief executive. McAveety’s allies criticised Anne Marie O’Donnell at a private Labour meeting last week over a perceived lack of detail on budget cuts. Glasgow City Council, which has had to make huge spending cuts in recent years, is expecting further bad news this week when Finance Secretary John Swinney announces his budget. Local authority leaders are privately expecting a five per cent cut that will severely impact on front-line services. McAveety, who is enjoying his second stint as leader after succeeding Gordon Matheson, is said to be worried about the political impact of the cuts in the run-up to the next council elections. A council insider, speaking on condition of anonymity, said three of McAveety’s allies criticised the chief executive at a recent Labour group meeting. The frustration was borne out of a belief that O’Donnell had not come with good enough ideas on how to redesign services and make up the looming budget shortfall. It is understood her presentations to Labour councillors have not gone down well. Another council source said O’Donnell was appointed when Matheson was leader and was perceived to be closer to him than McAveety. O’Donnell secured the post last year after the retirement of long-standing chief executive George Black. She was the council’s executive director of corporate services from 2011, with responsibility for legal services, elections, human resources, procurement, city resilience, customer and business support, and corporate governance. A solicitor, she joined Glasgow District Council in 1991 and, following local government reorganisation, was promoted to chief solicitor in 1996. She has also been assistant head of legal and administrative services and had a two-year secondment as depute director of social work services.